Rugezi wetland in Burera District. Over 7,000 illegal activities encroaching wetlands in the City of Kigali are set to be evicted. Sam Ngendahimana. The Private Sector Federation (PSF) Chairman Robert Bafakulera has appealed for a revised action plan of evicting over 7,000 activities encroaching on wetlands in the City of Kigali. Bafakulera said this in reference to survey findings by Rwanda Environment Management Authority (REMA) which recently revealed that 78.9 per cent of 7,222 illegal activities in wetlands are residential, 9.44 per cent are commercial houses, 2.85 per cent are livestock activities while 3.18 per cent are both commercial and residential activities. The survey indicated that approximately 55 per cent of the activities don’t have any legal documents that authorize them to do so. The survey indicates that sectors such as Remera, Gisozi, Kacyiru, Gatsata and Kinyinya have a high number of activities. Bafakulera said that while PSF was in support of the evictions but there was need to tread carefully so that all the parties involved reach a win-win decision. “We agree that the city needs to be clean and green but we request for a resettlement action plan for those businesses instead of rushed decisions. Most businesses in these areas were set up based on loans acquired from banks and if they lose, the banks will also lose,” he said. According to the Mayor of the City of Kigali; Marie Chantal Rwakazina, over 13,000 households live in both marshlands and high risk zones that must be relocated. The Head of the Human Settlement, Planning and Development Department at Rwanda Housing Authority (RHA); Augustin Kampayana, said his institution was partnering with the City of Kigali to relocate the households. “This year we have commenced a pilot phase in Nyarugenge District to relocate households that exposed to high risk zones among the 13,000 that need relocation. The current master plan reviewing must capture all these elements,” he said. Robert Bafakulera, Private Sector Federation Chairman.File. The Director General of Industry and Entrepreneurship at the Ministry of Trade and Industry, Telesphore Mugwiza, says that 22 of 82 activities in former Gikondo Industrial Zone have been relocated. Of these activities, 14 factories that had to be relocated to Special Economic Zones while garages, offices, parks, stores, residential houses and others await the next phase. “The remaining activities in Gikondo wetland will have been relocated by 2021 as the budget gets available every year. 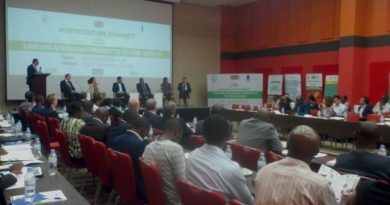 We have to make sure that the factories relocated to special economic zones have waste treatment systems to avoid polluting Nyandungu and other wetlands around it,” he noted. 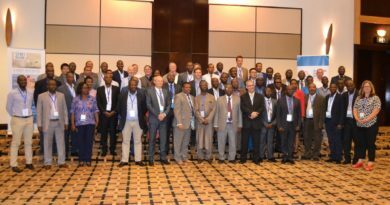 The representative of the Association of Professional Environment Practitioners in Rwanda; Egide Nkuranga, said that constructing factories in wetlands washazardous to human health. 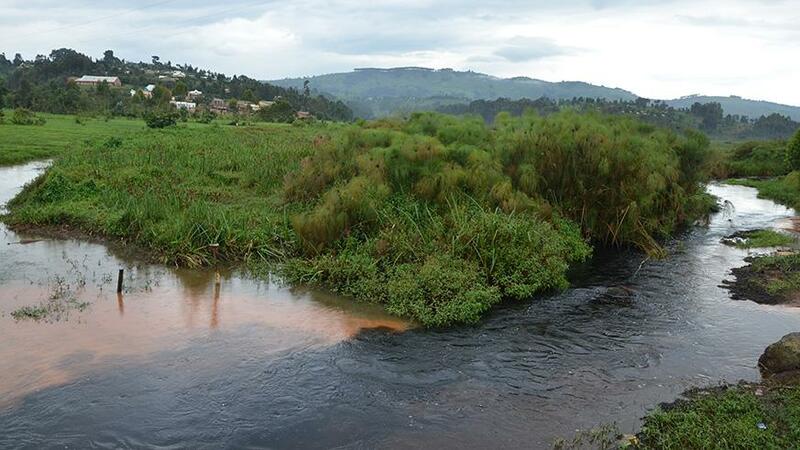 “We carried out a scientific and health research in Nyabugogo wetland and found that heavy metal substances from surrounding factories had injected poison in vegetables and fish. This shows why such activities have to relocate and why factories must embrace clean technology to manage industrial waste,” he said. The Minister of Environment; Vincent Biruta, said that though progress has been made in clearing Gikondo wetland; there had been little progress to clean other wetlands. “Wetlands have a role to filter and retain water from the hills. Rwanda is made up of many hills and because of that, there are many wetlands. This means that if encroached on, the risk of flooding becomes higher,” he said. 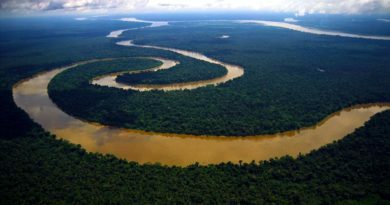 He said all activities in wetlands will have to relocate based on the law meaning that some might be compensated while others will relocate at their own cost since their activities were established without any authorization. “You might have authorization to have an activity in such area but flooding does not look at authorization. Disasters will relocate you in a bad way even if officials don’t. Look at Kabuye sugar plant, Carwash Station, some schools and houses that suffered as a result of floods last year,” he warned. Out Of 935 marshlands across the country, 10 per cent are located in city of Kigali. Globally, more than 64 percent of the wetlands have been lost since 1900 while In Rwanda, 50 percent of the wetlands in the City of Kigali have been encroached on.